​ Cyd Charisse (March 8, 1922 – June 17, 2008) was an American actress and dancer. After recovering from polio as a child, and studying ballet, Charisse entered films in the 1940s. 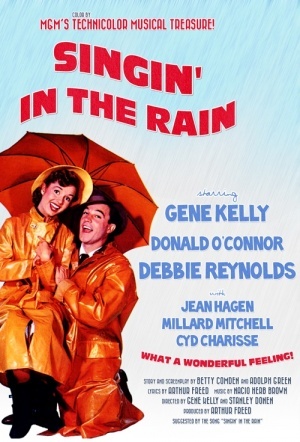 Her roles usually focussed on her abilities as a dancer, and she was paired with Fred Astaire and Gene Kelly; her films include Singin' in the Rain (1952), The Band Wagon (1953) and Silk Stockings (1957). She stopped dancing in films in the late 1950s, but continued acting in film and television, and in 1992 made her Broadway debut. In her later years, she discussed the history of the Hollywood musical in documentaries, and participated in That's Entertainment! III in 1994. She was awarded the National Medal of the Arts and Humanities in 2006.